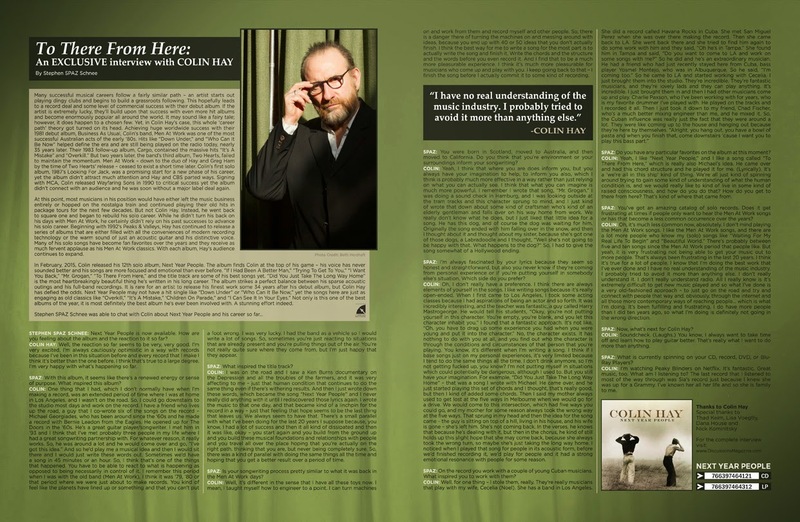 Discussions Magazine Music Blog: An EXCLUSIVE interview with COLIN HAY! 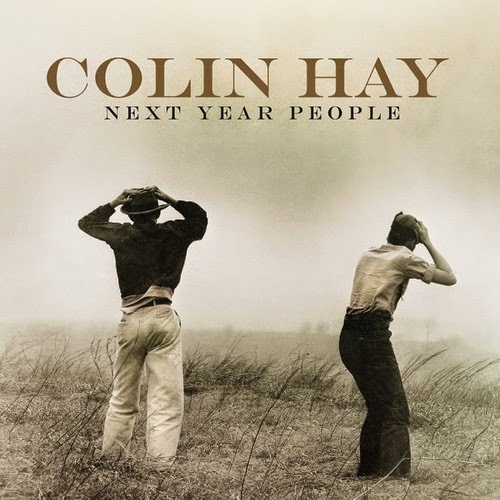 An EXCLUSIVE interview with COLIN HAY! Many successful musical careers follow a fairly similar path – an artist starts out playing dingy clubs and begins to build a grassroots following. This hopefully leads to a record deal and some level of commercial success with their debut album. If the artist is extremely lucky, they’ll build upon that success with even more hit albums and become enormously popular all around the world. It may sound like a fairy tale; however, it does happen to a chosen few. Yet, in Colin Hay’s case, this whole ‘career path’ theory got turned on its head. Achieving huge worldwide success with their 1981 debut album, Business As Usual, Colin’s band, Men At Work was one of the most successful Australian acts of the early ‘80s. Hits like “Down Under,” and “Who Can It Be Now” helped define the era and are still being played on the radio today, nearly 35 years later. Their 1983 follow-up album, Cargo, contained the massive hits “It’s A Mistake” and “Overkill.” But two years later, the band’s third album, Two Hearts, failed to maintain the momentum. Men At Work – down to the duo of Hay and Greg Ham by the time of Two Hearts’ release – ceased to exist a short time later. Colin’s first solo album, 1987’s Looking For Jack, was a promising start for a new phase of his career, yet the album didn’t attract much attention and Hay and CBS parted ways. Signing with MCA, Colin released Wayfaring Sons in 1990 to critical success. The album embraced Hay’s Scottish roots – he was born in Scotland and emigrated to Australia with his family when he was 14 – but the album didn’t connect with an audience and he was soon without a major label deal again.